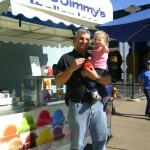 This first Italian Ice was served to a lucky patron at a Shopping Center out west this past weekend. 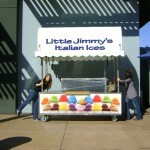 Little Jimmy’s Italian Ice Kiosks are great for indoor and outdoor mall locations. We will be getting a video of this location in the next few weeks. Check back…. Nice looking set up. I wish you the best. Is that a new cart the Little Jimmys is offering? 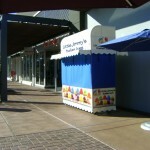 Yes- This is the new kiosk that we are offering- It is great for an indoor/outdoor mall type mall location. That is sharp looking !!! Love it !!! What is the cost of that set-up ?